Since January 2012, Nancy Weil has been the voice on the phone when you call CYCA’s main number. In her dual roles as Bookkeeper and Office Manager, she’s in her element logging income and expenses, and serving as logistics maven, handy-person, and organizer for a spectrum of needs and activities. Whether she’s working with our auditor, or enrolling and exiting AmeriCorps members, or arranging space and catering for one of CYCA’s events, she strives to bring accuracy and efficiency to her tasks. She’s the point person for office equipment and supplies, and provides annual certification data to donor sites. She came to CYCA with a strong background in small business office management. In that position she did everything from customer service to procurement, in a variety of work settings. She likes to say she has the “Volunteer Gene” which compels her to roll up her sleeves and pitch in wherever she perceives the need. Much of her volunteer energy has been focused on the outdoors – creek cleanups, tree planting, working with her sons’ Boy Scout troop – which makes CYCA a natural fit for her talents and interests. 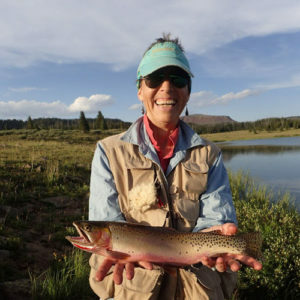 A native Coloradan, she returned in 2010 after two dozen years “inside the Beltway” in the DC area – every day she feels grateful to be living here again, where the high country beckons her to hike, fish, backpack, and cross-country ski. Her novels Karmafornia and its sequel Superball, written under the pen name NC Weil, are available from Fool Court Press, LLC (http:FoolCourtPress.Net) and Amazon, as well as a few small-town bookstores around the state. She also enjoys sewing, designing and building furniture, and reads widely, posting book and film reviews on her blog, AestheticPoint.blogspot.com. She plays a mean game of Scrabble.